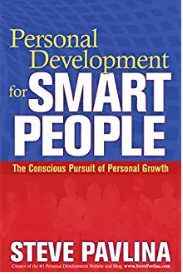 Below is a curated collection of the best personal development books I have been able to get my hands on. Want to know more about how I decided if a book makes it to my list? Read this longer post on how I build my book recommendation lists. 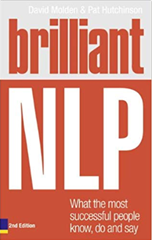 This is a beautifully concise book on how to use NLP to get better at everything you do. It’s also an incredibly simple introduction to NLP in a practical way. NLP (Neuro-Linguistic Programming) is effectively a method for rewiring your nervous system to improve your results. I like to think of it as a tool for modeling, or learning, excellence from the best of the best. Edward de Bono is one of the world masters on the art and science of better thinking. In this well-written book, de Bono gives you the tools and techniques you need to be an beautiful person. He does this by helping you tune your mind to be fascinating, creative, and exciting. His argument goes – if you are a good thinker, you can be beautiful … and anyone can be beautiful. This is perhaps one of the most surprising books I’ve read on how to use stress to be your best. Dr. John Eliot is a sports psychologist that helps athletes perform better under pressure. 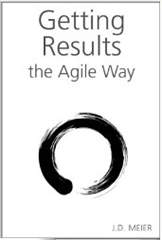 What I liked most about this book is that it gave me a new way to look at stress and some pragmatic tools to get out of slumps. I also like how Dr. Eliot helps you figure out what brings out your best performance so that you can do that in more of your everyday scenarios. It’s one of the best books on how to think, feel, and do your best, based on real science and proven in practice with athletes – as well as corporate warriors. Talk about a deep dive into personal development. Rather than a bunch of habits and practices, Steve Pavlina takes a principle-based approach to give you a simple framework for personal growth. 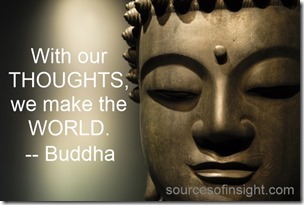 He boils down personal development to three essential principles: truth, love, and power. He builds on the combination of those three principles to reveal oneness, authority, and courage. Practicing these principles leads to the seventh principle: intelligence. 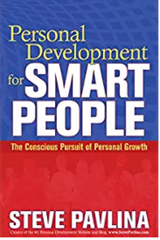 This book will stand out as one of the few that really leans in and acknowledges the hard work of personal development – but also will remind you all along the way, why your journey is worth it. 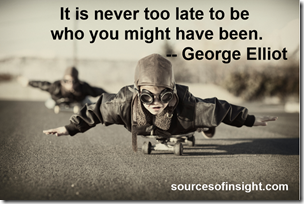 This is a true classic on personal transformation. 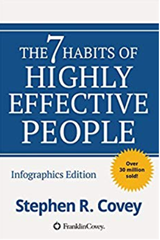 Stephen Covey does a brilliant job of honing on the 7 habits that really differentiate effective people. To Covey, effectiveness is when the response equals the challenge. In a nutshell, Covey teaches you how to 1) Be Proactive, 2) Begin with the End in Mind, 3) Put First Things First, 4) Think Win Win, 5) Seek First to Understand, Then to be Understood, 6) Synergize, 7) Sharpen the Saw. He also gives you a wealth of new ways to look at old problems so you can be more effective and make more conscious choices towards a more effective you. This book felt to me like a dojo of personal growth and greatness in a box. 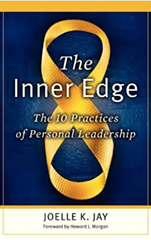 It is filled with extreme insight, along with incredibly pragmatic method, models, and mindsets for self-leadership. It’s one of those books that you could easily imagine turning into some sort of course or training. It’s deep. It’s well-structured. It’s based on real-world experience. 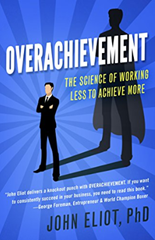 It’s one of the greatest books on the planet in terms of structuring your journey of personal development. I couldn’t believe the first time I discovered this book. I read it fast once, then re-read it slow, multiple times. I couldn’t believe that here in my hands was the secrets of the most successful, all under one volume. 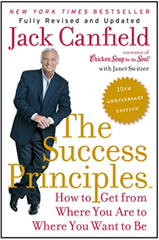 Jack Canfield is a skilled writer and storyteller. When I met Jack, I remember he kind of reminded me of a magician. And this book is sort of like a behind-the-scenes of how magic is done. He does a great job demystifying success and turning it into a set of principles that anybody can master, if they set their mind to it. I don’t know if there’s any book that shook my mind more, or redefined what’s possible for me in this lifetime, than this book. 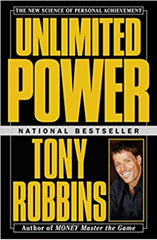 You can tell that Tony Robbins was on fire when he wrote this book. It’s like he tried to do a Vulcan mind-meld with the world and share the greatest secrets he figured out about unleashing your potential. I especially like how Tony Robbins define power – as simply the ability to take action. 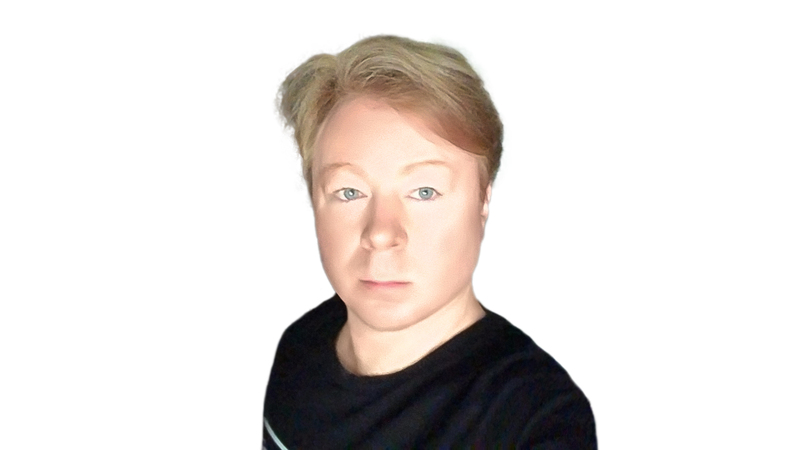 He walks through how so many people give their power away, every day, and this is the guide to taking it back, so you can create your destiny and achieve all your dreams, no matter how far reaching they might be. I started with the movie on this one. Wow. It is life changing. Dan has a true gift in boiling down smart strategies for personal development and transformation into memorable stories and memorable prose. This is one of the most helpful books for helping you learn how to truly be in the moment and how to do what makes you come alive, even when it’s not easy. It’s a book about moving forward, with anticipation, and joy, while at the same time, noticing what’s all around you. 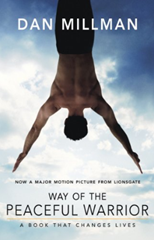 Check out my Lessons Learned from Peaceful Warrior. This book is deep. But it’s written for the lay reader, as well as professionals. 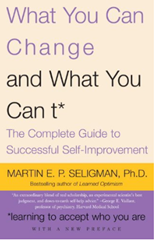 Psychologist Martin Seligman shares his insights on what works and what doesn’t when it comes to change, based on outcome studies and a lifetime of observations in how people change (or don’t.) You will learn interesting things about fears and phobias, as well as some of the inner workings of your personality. While we continue to learn more about neuroplasticity, or how pliable our brains are, this is a great body of work to challenge your model of where to focus your efforts, and how to really bring about meaningful and lasting change. 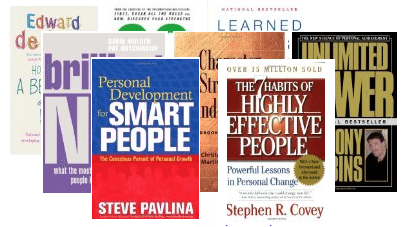 With the top 10 personal development books in mind, now here is a list of personal development books sorted by categories.